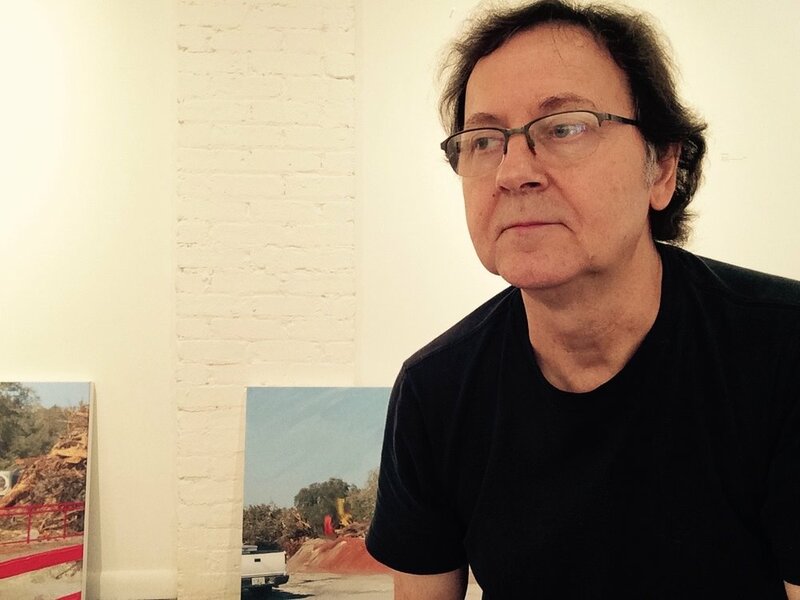 Michael Katz's work has been featured in exhibitions and collections including the Drawing Center, New York; Touchstone Gallery, New York; Cleveland Museum of Art, Cleveland, Ohio; Toledo Museum of Art Toledo, Ohio; Norton Museum of Art, West Palm Beach, Florida; Southeastern Center for Contemporary Art, Winston-Salem, North Carolina; Alt_space, Atlantic Center for the Arts, New Smyrna Beach, Florida; Massilon Museum, Massilon, Ohio; Westwood Art Center, Cincinnati, Ohio; Canton Art Institute, Canton, Ohio; Miami Metropolitan Museum and Art Center Miami, Florida; Fort Lauderdale Museum of the Arts, Fort Lauderdale, Florida; Ball State University, Muncie, Indiana; Miami-Dade County, Miami, Florida; Valencia College, Orlando, Florida; Broward College, Pompano Beach, Florida; Miami-Dade College, Miami, Florida, and Kent State University, Kent, Ohio. He has received numerous grants and awards including a prestigious National Endowment for the Arts Fellowship, and a commission to create a series of large paintings for the Miami-Dade Art in Public Places program, Miami Florida. He holds an M.A. in Painting and a B.F.A in Studio Art from Kent State University. He has taught at New York University, New York; Miami-Dade College, Miami, Florida; and Valencia College, Orlando, Florida. He currently teaches drawing, and visual concepts at Stetson University in Central Florida.